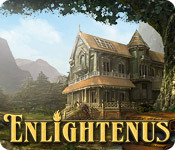 Enlightenus is rated 4.0 out of 5 by 31. Rated 5 out of 5 by Marja67 from Love it! I love this game. I believe it is very unique. Pretty graphics, relaxing music. Great puzzlers to do. I take it back periodically to do over. Really like it. Rated 5 out of 5 by sinenomine_lj from Phenomenal game--not enough like this I loved how different this game was and the avoidance of traditional HOS (which get so monotonous in other games). Rated 5 out of 5 by smilingsun72 from Relaxing fun game! This is a nice laid back game. I enjoyed it. Great after playing games that are intense and challenging. The graphics are good and the music is relaxing. I like how I had to put things back instead of finding them. This gave the game a neat twist. I recommend this to those who want a different kind of HOS game. 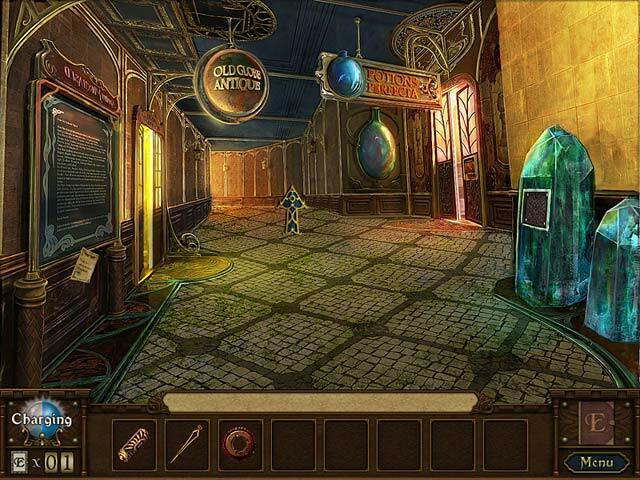 Rated 5 out of 5 by pennmom36 from Enlightenus This game has some of the most entertaining Hidden Objects Scenes I have played in a long time! Actually all of the HO's require you to place items from the inventory bar back into the scene where they logically belong. Most games with this feature are so simple it's boring, place the bird with it's mate, place the cheese on the mousetrap etc. 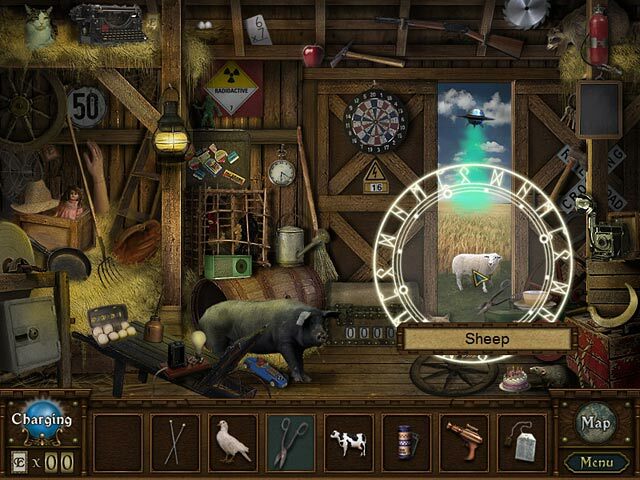 With this game you have to pick up the item and then scan the entire scene, this way all of the items in the scene have labels or tags, without knowing what every little item is that is crammed into a scene, it would be difficult because your eyes wouldn't focus on the little things. A famous artist, Edgar Lee, has asked you to use the Enlightenus machine to transport to the magical world of Enlightenus to recover the missing and scrambled pages of his novels. Naturally you don't hesitate (or ask any questions). 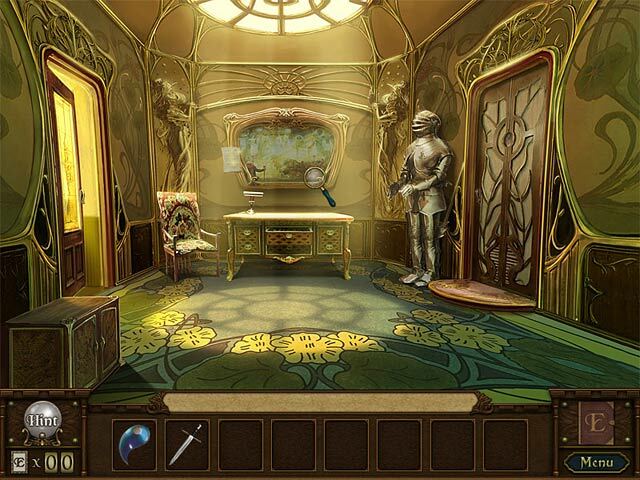 Throughout the adventure you will come across Enlightenus Cards, most are in the Hidden Object Scenes, and the cards collected will speed up the time it takes to recharge the Hint Orb. If you're looking for a game that's a little bit different, look no further, enjoy! Rated 5 out of 5 by Yaelle from This Game Felt Like A Big, Warm Hug If anyone that knows me personally sees the title of my review, they'll probably have a heart attack because to say such things is NOT in my nature. I'm not a fan of HOG games but this is basically an un-HOG? A de-HOG? Anti HOG? You should check out to see just how lovely (omg I said lovely) Enlightenus truly is. It had a kind of a homemade feel, if that makes sense. In fact, at the very end of the game I guess we DO get proof of the individual care that went into making it. I'm really surprised. I hope that other developers can learn a thing or two from these guys. Rated 5 out of 5 by gamefan10 from Wonderful game! I loved this game. You have to place objects into scenes rather than take them out. It's not terribly difficult to play, but the thinking required is fairly challenging. You have to match the objects with something in the scene, so your logic skills are in high demand. When you finish each scene you get a token. Then when you get all the tokens from each of the scenes, you have to decide how to match them with the different paintings, which also requires logic. You also need to think about how to use some of the objects that you find lying around. I didn't think it was such a short game, as mentioned by a few other reviewers. After all, you're looking for 42 pages from a book, and each page takes a while to complete. I definitely recommend this unique and interesting game. Rated 5 out of 5 by nospaceleft from A Very pleasant, fun, relaxing game! As other reviewers have said, this is not your typical HO. But, the nicest thing about this game is the logic with which you place the items in each scene. Sometimes you need the description to see that logic, but that, for me, was the most fun...trying to guess how that logic worked. This is not a difficult or challenging game...but hunt for the "E" cards first, or the scene will disappear before you find them..and they are VERY small. The only thing I think the cards are good for are the hints, and I didn't need more than 5 or 6 through the whole game, so you can stop when you have plenty. I had nearly 70 left over. Everything about this game is pleasant and simple. Even the rooms are sparsely furnished. When you get to the crowded "opposite" HO scenes they are well lit and most items are easily identified. All in all a very nice game when you don't want to work too hard. I will be purchasing the new one too! Rated 5 out of 5 by sapoe from good for me! Well, it's blue tea! I'm enjoy playing this and having fun. Thanks dev and good job! Love it! Rated 5 out of 5 by august29 from Great Game! This game was SO much fun! It wasn't super difficult, but I looked forward to each of the HOG scenes...which are very different from traditional HOG scenes. You can to find where the objects belong in the scene, with is a different concept than I am used to. Also, there was a lot of humor when putting some of the objects together...for example: a toothbrush to clean dirty teeth. I loved this, and I can't wait to play the second one!